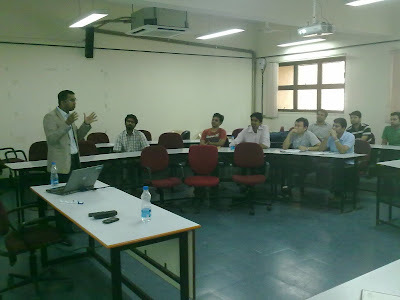 On 26th April, 2011 Mr Sudip Mazumder an SJMSOM,IIT Bombay alumnus from the batch of 1998 visited the campus and talked to the students about Cloud computing and his journey from SOM to heading the Microsoft- cognizant alliance in Cognizant Technology Solutions (CTS), UK. It was more of a light hearted talk rather than a lecture with Sudip sharing with us a few jokes here and there bringing the much needed fun element after the stressful week of exams that we had gone through. 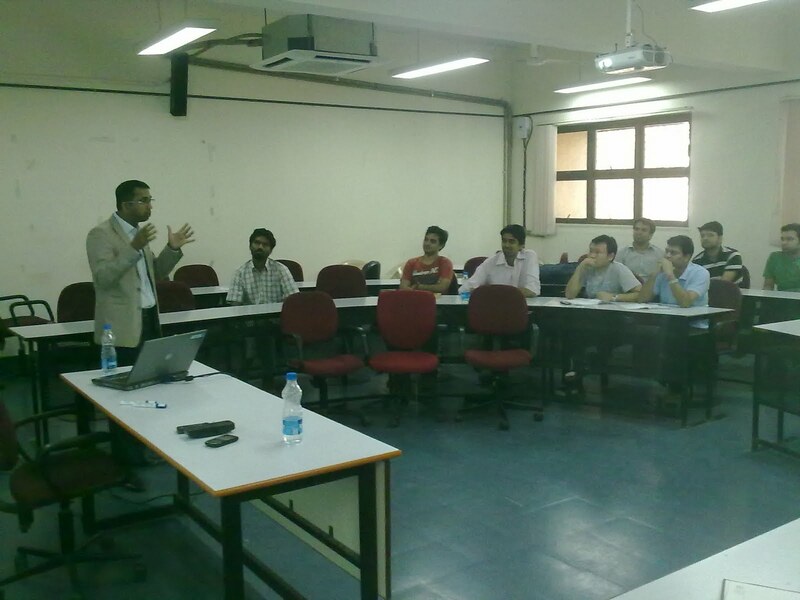 He spoke to a classroom packed with System and Consulting enthusiasts about Cloud Computing, career options in the same and trends in IT Consulting. He talked about his experience of working with the giant-Microsoft and also shared with us his journey after SOM. He brought in an entirely different perspective on things owing to his exposure to both the Indian Culture and that in UK. The small stories and incidents about SOM that he shared with us were interesting and gave us a glimpse of what happened in SOM during its formative years. There were also words of encouragement and he said we all have very bright prospects once we are out in the industry because of the brand name that we carry with us. All in all it was a great experience to get in touch with one of the earliest students at SOM and hear his exciting journey from his own mouth. We hope to have more of such sessions in the future to give us an insight as to what happens on the field and to get closer to our alumni. I feel that, cloud computing is a sea. I am not familiar with cloud computing. I had been gathered some information from your post. Thanks for sharing. Good work. I used to be checking constantly this blog and I am inspired! Very useful information specially the last part. I take care of such information much. I used to be seeking this particular information for a long time. Thank you for sharing. i would like to thank you for the Efforts Made in Which You have fabricated this article. I am Hoping The Same best assignment from you in the future as well. These days,Hadoop Training in Chennai the bigger piece of the affiliations depend Oracle Training in chennaion upon cloud based CRM instrument to power their business process. They need to get to the business from wherever hadoop training in chennai and at whatever time. In such circumstances, salesforce CRM will guarantee colossal slant to the representatives. thanks for your knwoledge share ... superb article ... searching for this content.for so long. tips about bd jobs today as well. If you want to know more about a career sites, please visit our website. The expansion of internet and other business intelligence leads to large volume of data. Industries are looking for talented professionals to maintain and process huge volume of data with latest tools available in the market. Taking Hadoop Training in Chennai | Big Data Training in Chennai will ensure better career prospects for talented professionals. Interesting and worth able content is discussed here. The fact about current technology is explicitly stated over here. I do agree on your thoughts on how the influencers are taking advantage over emerging technology. Thanks for sharing this in here. Keep bloging like this. This website is providing the valuable info is visible in this blog that to very much satisfied by the nice technology in this blog. Thanks a lot for using the great info is visible in this blog. it is really nice and informative , thanks for sharing the the information about cloud computing . it is really useful. It is a more valuable information.I got more contents about this.It is a excellent blog. You have clearly explained about cloudy computing.Spoke about classroom packed with System and Consulting enthusiasts about Cloud Computing, career options in the same and trends in IT Consulting. clearly talked about his experience of working with the giant-Microsoft and also shared with us his journey after SOM. Update more blogs like this. Here the author discuss about the importance of cloud computing and there is more opportunity for carriers. After SOM author gained more in microsoft. That all provide greatest experience to them. excellent article.it was short explanation but easy to understand about cloud computing.we wish read more in sjmsom to improve our thoughts.it is very informative and helpful to learn. I don't no about the cloud computing which is useful and informative , keep on blogging to get a new information. Nice...You have clearly explained about cloudy computing.Spoke about classroom packed with System and Consulting enthusiasts about Cloud Computing, career options in the same and trends in IT Consulting. clearly talked about his experience of working with the giant-Microsoft and also shared with us his journey after SOM. Update more blogs like this. Here Mr. sudip explains the details of cloud computing that are briefly explained and the given information are easily understandable. This provide me the grate opportunity to learn. This cloud computing information is excellent.It is to read and is helpful to learn this information. the blog is about the insight into cloud computing will be very useful for those who wants develop there knowledge over cloud computing concept. thanks for this information.It is to motivate the students and to improve the career.It is very nice effort. thanks for sharing about cloud computing.this is really nice. and helpful keep update us more. 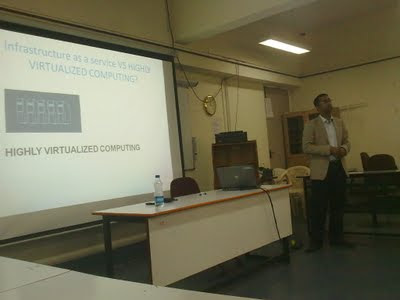 Nice..You have clearly explained about cloudy computing.Spoke about classroom packed with System and Consulting enthusiasts about Cloud Computing, career options in the same and trends in IT Consulting. clearly talked about his experience of working with the giant-Microsoft and also shared with us his journey after SOM. Update more blogs like this. Informative post you have shared. Thanks for sharing. Good post. Keep sharing such a useful post. Insight into cloud computing nice posts..
insighjt cloud computing nice posts..
Great article. Happy to visit yout blog. Thanks for sharing. Informative post. Happy to visit your blog. Thanks for sharing. Very nice post. Keep sharing such a informative post. You shared useful post. Thanks for sharing such a post. • Great post and informative blog.it was awesome to read, thanks for sharing this great content to my vision. • Need help with qtp? have a doubt in qtp? call me 8939925577 and refer software testing help website. A teenage hacker has found a way to circumvent the phone’s security and restrictions, jailbreaking a brand new iPhone 7 running iOS 10, effectively taking full control of it and allowing him to install apps not approved by Apple. The 19-year-old hacker, who’s known online as qwertyoruiop but whose real name is Luca Todesco, to get his invention iPhone7 Jailbreak go to CydiaNerd. hi really you have post an informative blog. it will be really helpful to many peoples.thank you for sharing this blog. Quite a useful post, I learned some new points here. Thanks admin please keep posting updates regularly to enlighten our knowledge. Thanks for sharing your blog Oracle fusion financials provides online classes. Our on-line coaching supplier gained the high commonplace name through worldwide for its teaching. You have stated definite points about the technology that is discussed above. 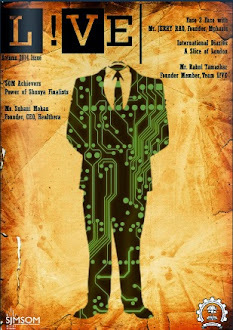 The content published here derives a valuable inspiration to technology geeks like me. Moreover you are running a great blog. Many thanks for sharing this in here. I read your post and i really like your post.Thank you for sharing this post. Pleasant Tips..Thanks for Sharing….We keep up hands on approach at work and in the workplace, keeping our business pragmatic, which recommends we can help you with your tree clearing and pruning in an invaluable and fit way. This is an awesome post.Really very informative and creative contents. These concept is a good way to enhance the knowledge.I like it and help me to development very well.Thank you for this brief explanation and very nice information. Great work. Quite a useful post, I learned some new points here.I wish you luck as you continue to follow that passion. Excellent and useful blog admin, I have bookmarked this page for my future reference. Keep sharing more like this. Your story is truly inspirational and I have learned a lot from your blog. Much appreciated. Ani international provide the security solutions for all kind of secruity system and other equipment. I have gone through your blog, it was very much useful for me and because of your blog, and also I gained much unknown information, the way you have clearly explained is really fantastic. Kindly post more like this, Thank You. Thank you for this wonderful post, It really nice and informative. Keep sharing!! Android Training in PorurThank you for this wonderful post, It really nice and informative. Keep sharing!! You are an amazing writer. No words to describe your blog. Way to go. Great Article. Wonderful writing. You are an amazing author. Waiting for your future post.